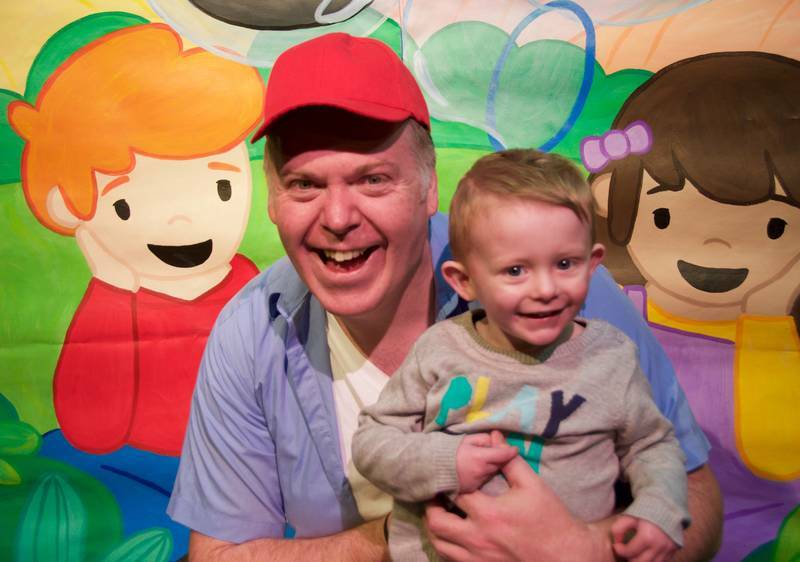 Em’s Entertainment is a touring theatre-in-education company with a commitment to bringing high quality, interactive and entertaining live performances to Preschools and Child Care Centres all over Sydney and surrounds. 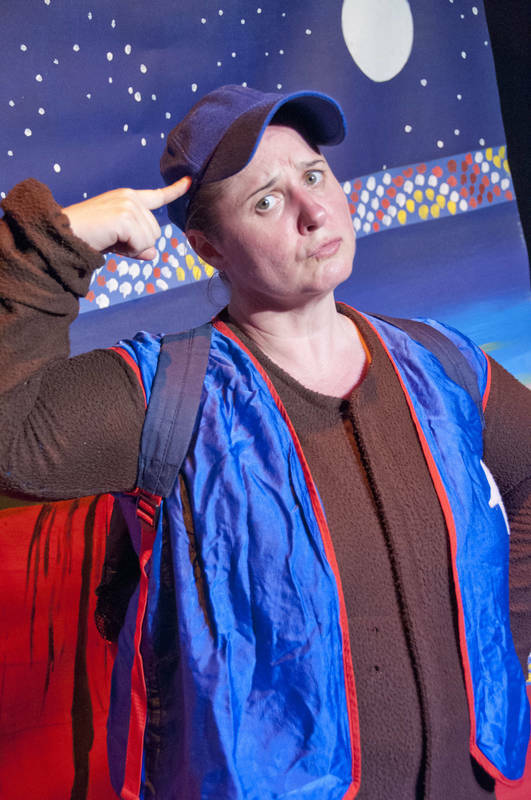 Established in 2007 by NIDA trained Emma Delle-Vedove - Emma is a Sydney-based actor, director, voice coach, workshop presenter and teacher, with over 13 years experience working with children. 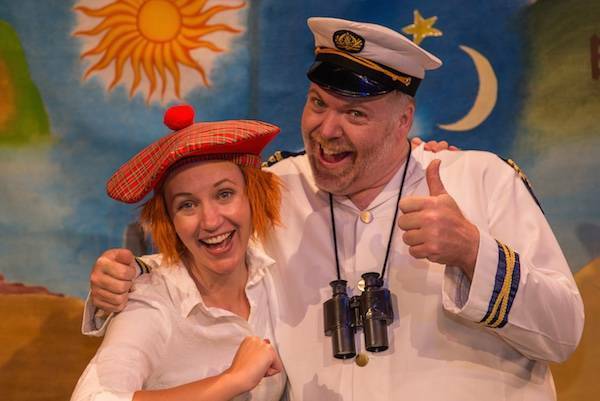 Emma and her team of professionally trained performers are committed to entertaining, educating and inspiring young minds through the magic of theatre. Quite famous throughout the Child Care industry for our Christmas Pantomimes, we have several we keep on a yearly rotation - Santa Claus Superstar, The Wobbly Wobbly Woo Christmas Pantomime, Santa Of The Never Never, and the hilarious Mrs Claus' Christmas. Always a great way to end the year, these shows sell out fast - with most centres booking almost 12 months in advance. Along with these we have our fabulous year round performances which have entertained literally hundreds of thousands of children since their inception - The Dinosaur Show, A Mouse's Tale, Captain Gillie's Grand Adventure, Captain Flash and the Fantastic Flying Machine, Wombat's Wild Weekend, and our hugely popular brand new show When I Grow Up. All are colourful, fast paced, 45 minute musical performances based around different themes - designed to support children's learning and creativity. While our shows are usually only available to see in schools, we occasionally have the opportunity to offer public performances also. 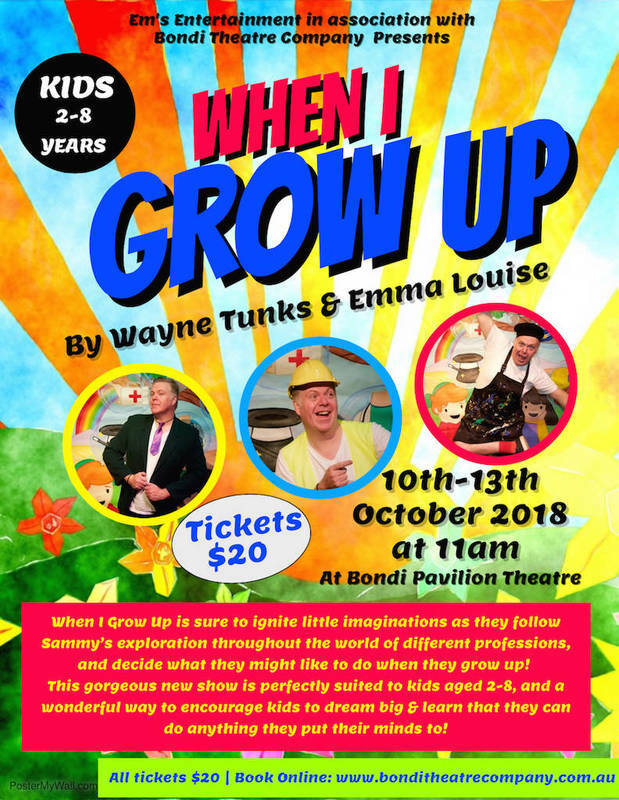 Thanks to our friends at the Bondi Theatre Company, our hit new show When I Grow Up can be seen at the Bondi Pavilion Theatre this October school holidays! Runs from 10th-13th October 2018 at 11am daily. Tickets only $20 (Kids under 2 are free on lap). Four shows only, so be sure to book early! Tickets available online via the Bondi Theatre Company website.